Paul Albrighton SOLD a property in 5 hours! #1605 1200 W Georgia St. $399,900. Coal Harbour Vancouver. Property Details - Click here. What does it take to sell a property so fast? 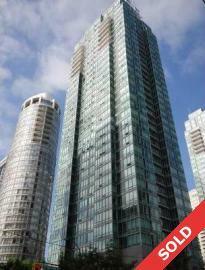 Our efficient systems and experience in Downtown Vancouver put our clients ahead of the market. When it comes to selling or purchasing a loft or modern condo in Downtown Vancouver, use a specialist - not a generalist.